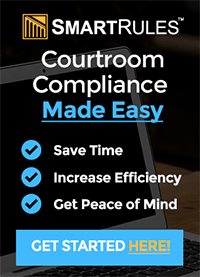 RealDealDocs contains millions of legal agreements and clauses drafted by top law firms and organized into easily searchable categories. Click any category to view example legal documents available on our site. A legal agreement for the transfer of control of specified accounts between parties. A legal instrument used to amend, add, correct or modify a term or terms of an agreement. A legal document whereby a Publisher agrees to provide online advertising to an advertiser through their online outlets. A legal document whereby a Publisher agrees to provide advertising to an advertiser through their relevant media. A legal contract creating a fiduciary relationship whereby the first party (“the principal”) agrees that the actions of a second party (“the agent”) binds the principal to later agreements made by the agent as if the principal had himself personally made the later agreements. An agreement outlining the terms and conditions of the merger or acquisition of a company. A legal instrument that allows parties to agree to have a dispute settled through mediation or arbitration. A legal document that outlines the terms of acquisition of another company by purchase of its assets in exchange for cash or stock. The key document involved in the purchase of all or some of the assets of one entity by another. A legal document to transfer personal property, intellectual property or contractual rights and obligations from one party to another. Transfers property, intellectual property or contractual rights and obligations from one party to another. 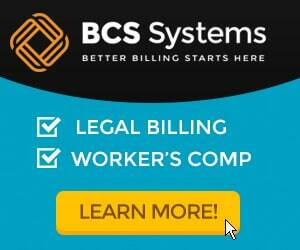 A legal agreement to provide billing services for another party. An agreement covering a bridge loan/swing loan/interim financing as a type of a short-term financing that the borrower pays off with the proceeds of a pending deal. An agreement stipulating that the buyer must work exclusively with the dealer/broker. An agreement in which a license may be granted by a party (“licensor”) to another party (“licensee”) as an element of an agreement between those parties for use in cable television broadcast. An agreement which stipulates a predetermined amount of cash to be used as collateral to satisfy obligations incurred as a result of the agreement. A legal document outlining the relationship of cash management services such as cash concentration, zero balance accounting, and automated clearing house facilities. A legal document outlining the terms and conditions of a change in ownership or control, and typically the implications for one or more parties. An agreement defining the relationship of parties engaged in a clinical trial. A legal document defining the terms and conditions of the combining of products or brand names known as co-branding. An agreement granting permission to copy, sell or distribute copyrighted work. An agreement that defines the arrangement between two parties working together in a collaborative manner to produce something. A labor contract between an employer and one or more unions. A legal document stipulating that the guarantors undertake to complete the project within the specified timeframe. An agreement specifying rights granted by one party to another. It specifies rules under which the company can operate. A legal document through which intellectual property can be disclosed by one party to another to be used only for stated purposes, not to be disclosed to others, and returned to the giver upon request. An agreement appointing the Construction Agent as its sole and exclusive agent for the construction project as set forth within the agreement. The contractual agreement between the Buyers and the Builder. This agreement spells out the rights, obligations, and duties between both parties. A legal agreement used when a consultant will be providing professional consulting services. This is a License Agreement where the Licensee licenses content from the Licensor for placement on the Licensee_s Web site. An agreement detailing the roles and responsibilities of each partner, specific rights and obligations, cash-flow and reporting requirements, milestones, deliverables, and payments. Convertible promissory notes are notes that serve as debt but convert under the terms of the financing. Notes can convert to equity automatically upon a certain event or at the discretion and choice of the note holder, terms that will be stipulated in the “Conversion Rights” section of the term sheet. A legal document that standardizes the rights and obligations of the parties during their cooperation in regard to a specific product, market or business. An agreement outlining the terms of the sale, purchase and delivery of a crude purchase. An agreement outlining the terms of transportation and delivery of a crude purchase. A legal document defining an award of Deferred Units of stock usually used as an inducement for an Employee to remain with a Corporation and to motivate the Employee during such employment. A legal agreement outlining the relationship in which one party provides design services as outlined in the agreement. A legal instrument outlining the terms and conditions of the development of a product or real property. An agreement governing the sales and marketing of an item of merchandise by a distributor. A legal instrument providing the terms and conditions of transferring a Web Site Domain Name to another party. Employee Alternative Dispute Resolution Agreements (ADRs) are designed to resolve employee-employer disputes in an efficient manner, typically through the use of arbitration and/or mediation services or agencies. An agreement defining the employment benefits during the term of employment. An agreement defining the bonus structure for an employee during the term of employment. An agreement detailing the terms and conditions of immigration assistance as a result of employment. An agreement defining the operational and maintenance resources and services necessary meet the obligations under the agreement. An agreement entered into between an employer and an employee at the commencement of the period of employment and stating the exact nature of their business relationship, including roles and responsibilities, compensation etc. A statement that is added to or revises or improves a proposal or document. The End User License agreement (EULA) defines the terms and provisions for use of the product or software by the end user. An agreement used to obtain the right to use the name, likeness, and endorsement of an individual or entity. A legal document to render services to a Company in connection with a currently contemplated transaction based on the terms and conditions set forth within the agreement. An agreement that sets forth the terms and conditions for the engineering, design, construction and installation and all the necessary ancillary systems as defined within the agreement. An agreement defining the nature of the relationship between parties in the creation of entertainment related products. An agreement between two parties not to hold one of them responsible for future legal action or fines related to environmental issues. An agreement defining the structure of granting equity to an employee as a results of performance and/or employment. An exclusive agreement that gives one party a right that is not shared by others. Typically used in mergers and/or acquisitions, the Company agrees that it will not directly or indirectly take any action to solicit, initiate, encourage or assist the submission of any proposal, negotiation or offer from any person or entity other than the other party of the agreement. An agreement between an employer and an employee at the executive level at the commencement of the period of employment and stating the exact nature of their business relationship, specifically what compensation the employee will receive in exchange for specific work performed. An agreement entered into between an employer and an employee at the commencement of the period of employment and stating the exact nature of their business relationship, specifically what compensation the employee will receive in exchange for specific work performed. An agreement to extend the due date of the completion of an agreement such as a loan. An agreement defining the fees associated with a transaction as outlined in the agreement. An agreement that defines the franchisee-franchiser relationship. This legally binding document lays out the rights and obligations of each party. A legal instrument detailing the relationship and duties of two or more parties entering into a general partnership. An agreement between two parties not to hold one of them responsible for future legal action or fines. A written agreement under which bonds and debentures are issued, setting forth maturity date, interest rate, and other terms. An agreement that spells out the relationship, responsibilities and expectations between a business and an Independent Contractor. An agreement to prevent a borrower from securing additional financing on a property financed by the original lender. An agreement granting permission to copy, sell or distribute an invention. An agreement to hold an asset or property in trust for the beneficiaries in accordance with the terms of the Agreement. An agreement outlining the rights and obligations of investors. An agreement granting permission to copy, sell or distribute intellectual property. A contract that governs the relationship between the parties to an Intellectual Property transaction secured by collateral. A legal document that defines an arrangement in which the grantor departs with ownership and control of property. Joint defense agreements allow defendants (and plaintiffs) to share information and strategies in confidence. An agreement defining the right to use of an aircraft given by a lessor to another person (usually called the lessee) for a fixed or indefinite period of time, whereby the lessee obtains possession of the property in return for paying the lessor a fixed or determinable payment. A lease or tenancy is the right to use or occupy real property given by a lessor to another person (usually called the lessee or tenant) for a fixed or indefinite period of time, whereby the lessee obtains exclusive possession of the property in return for paying the lessor a fixed or determinable consideration (payment). An agreement providing a lease or tenancy to use or occupy a house given by a lessor to another person (usually called the lessee or tenant) for a fixed or indefinite period of time, whereby the lessee obtains exclusive possession of the property in return for paying the lessor a fixed or determinable payment. An agreement for the right to use or occupy Industrial property given by a lessor to another person (usually called the lessee or tenant) for a fixed or indefinite period of time, whereby the lessee obtains exclusive possession of the property in return for paying the lessor a fixed or determinable payment. An agreement to use or occupy office space given by a lessor to another person (usually called the lessee or tenant) for a fixed or indefinite period of time, whereby the lessee obtains exclusive possession of the property in return for paying the lessor a fixed or determinable payment. An agreement to use or occupy a restaurant given by a lessor to another person (usually called the lessee or tenant) for a fixed or indefinite period of time, whereby the lessee obtains exclusive possession of the property in return for paying the lessor a fixed or determinable payment. An agreement to use or occupy a retail location given by a lessor to another person (usually called the lessee or tenant) for a fixed or indefinite period of time, whereby the lessee obtains exclusive possession of the property in return for paying the lessor a fixed or determinable payment. An agreement in which the lessee pays rent to the lessor, as well as all taxes, insurance, and maintenance expenses that arise from the use of the property. An agreement to use or occupy a warehouse location given by a lessor to another person (usually called the lessee or tenant) for a fixed or indefinite period of time, whereby the lessee obtains exclusive possession of the property in return for paying the lessor a fixed or determinable payment. A page separate from the lease agreement used to amend, add, correct or modify a term or terms of the agreement. An agreement granting the right to use or occupy personal property or real property given by a lessor to another person (usually called the lessee or tenant) for a fixed or indefinite period of time, whereby the lessee obtains exclusive possession of the property in return for paying the lessor a fixed or determinable consideration (payment). A legal document to transfer the contractual rights and obligations of a lease from one party to another. An agreement allowing a party to assume the contractual rights and obligations of a lease from another party. An agreement ending the lease between two parties. A document issued mostly by financial institutions which usually provides an irrevocable payment undertaking (it can also be revocable, confirmed, unconfirmed, transferable or others e.g. back to back: revolving but is most commonly irrevocable/confirmed) to a beneficiary against complying documents as stated in the Letter of Credit. The legal document demonstrating the granting of permission by a party (“licensor”) to another party (“licensee”) as an element of an agreement between those parties. A document that declares one or more general partners who conduct or run the business and have one or more special partners who are essentially only investors sharing in the profits. An agreement intended to accomplish the complete liquidation and dissolution of a business or organization. A legal document allowing parties involved in litigation to share information and strategies in confidence. A legal document defining the terms and conditions under which the Investor is willing to subscribe for the securities which are being offered. An agreement outlining the terms and conditions of a limited liability partnership. An Agreement containing pertinent terms, conditions, covenants and restrictions in relation to a loan between two parties. A legal document allowing all funds and other evidences of payment received by the Lockbox Bank in its capacity as Lockbox Bank to be deposited in the Specified Account. A legally binding contract between the underwriters and insiders of a company prohibiting these individuals from selling any shares of stock for a specified period of time. An agreement outlining the terms for placing assets in an _Escrow Account_ with the Escrow Agent as security for the pending transaction. An agreement between two parties not to hold one of them responsible for future legal action or fines in conjunction with a merger or acquisition. A Letter of Intent or LOI is a document outlining an agreement between two or more parties before the merger or acquisition agreement is finalized. A Non-Competition Agreement sometimes known as a non compete, non-compete agreement, or covenant not to compete, is a document that stipulates that one party agrees to not pursue a similar profession or trade in competition against another party. A legal document that entitles investors to force a company to register the investors_ shares of company stock with the Securities and Exchange Commission (SEC) and state securities commissions. This registration, in turn, enables the investors to sell their shares to the public. A legal instrument outlining the terms and conditions for exchanging or converting one type of stock to another..
A legal instrument outlining the terms and conditions for the purchase of stock under the terms and conditions set forth within the agreement. An agreement that identifies all of the parties involved, shares before and after the merger, granting of proxy, representations, share transfer and other terms contained within the agreement. An agreement in which the Provider agrees to provide the Management Services as defined in the agreement. A legal document granting the right to review the books and records and consult with management regarding operations. A non-disclosure agreement (or NDA), is an agreement in which the parties agree not to disclose information covered by the agreement. An NDA creates a confidential relationship between the parties to protect any type of trade secret. This agreement, typically used in employment relationships, prevents employees from talking negatively about the employer. A novation is a substitution of a new for an old debt. The old debt is extinguished by the new one. A written agreement stating that for a specific deposit amount an individual has first rights to make a purchase such as for stock or real property within a certain period of time. An agreement to take over the provision or production of non-core operations for another person or organization under terms set forth in the agreement. A legal instrument that defines the obligations of the parties involved in an agreement. An agreement that terminates or dissolves a partnership. An agreement by an investor to join a limited partnership. An agreement granting permission to copy, sell or distribute a patented invention. An agreement that outlines and defines payments based on performance. A legal document whereby an individual takes responsibility for payment of debt or performance of some obligation if the person/company primarily liable fails to perform. An agreement defining the relationship with an outside firm hired by a general partner to market its fund to institutional investors. An agreement describing how pooled loans will be serviced and dictates how proceeds and losses will be distributed. A legal instrument that is used to delegate limited or complete legal authority to another. An agreement defining the rights or privileges of a stockholder to maintain a proportionate share of ownership in a corporation by purchasing a proportionate share of any new stock issued. An agreement allowing investors to sell their shares of stock in the same proportions and for the same terms as the founders, managers, or other investors, should any of those parties receive an offer. A legal instrument providing a contractual right to participate in a transaction. For example, a venture capitalist may participate in a first round of investment in a startup and request a right of first refusal in any following rounds of investment. An agreement allowing merchandisers to seek the popular approval of their products by including them in feature films and television programs. A legal document outlining the terms and conditions of media production. PSAs are agreements used primarily to determine the share a private company will receive of the natural resources (usually oil) extracted from a particular country. An agreement in which the basic terms and conditions for labor are established in advance for everyone involved in the project including the employer, contractors and subcontractors, and the labor force. A legal document detailing the terms of an agreement by one party to pay a sum of money to the other. The obligation may arise from the repayment of a loan or from another form of debt. An agreement detailing various promotions an organization provides to assist another organization in promoting its products or services. An agreement outlining a business structure in which an individual and his/her company are considered a single entity for tax and liability purposes. A legal document authorizing a person or entity to act for another. A document defining the terms and conditions between distributors and suppliers. An agreement for the purchase and sale in which a seller agrees to sell and a buyer agrees to buy within specific terms and conditions. An agreement over shares of a private limited company. This option agreement may be used when an existing shareholder is granted a right (but not an obligation) to sell shares for a specific period and at a specific price or at a price to be calculated in accordance with a pre-agreed formula. A contract for the purchase and sale of real estate between a Buyer and Seller in which a seller agrees to sell and a buyer agrees to buy, under certain specific terms and conditions. A legal instrument signed by a debtor granting a security interest to a lender in specified personal property pledged as collateral to secure a loan. An SLA is a formally negotiated agreement between two parties. It is a contract that exists between customers and their service provider, or between service providers. It records the common understanding about services, priorities, responsibilities, guarantee, and such_collectively, the level of service. An agreement between a producer and a user of computer software which grants the user a software license. Most often, a software license agreement indicates the terms under which an end-user may utilize the licensed software, in which case the agreement is called an end-user license agreement or EULA. An agreement regulating the support and maintenance for the software products licensed to the customer. An agreement under which two parties can split the benefits and costs of a specified transaction. An agreement that sets forth the maximum period of time, after certain events, that legal proceedings based on those events may be initiated. An agreement outlining energy and capacity terms and conditions related to steam. An agreement providing the granting of stock options by an organization to the participant at a predetermined price. An agreement documenting the pledge of a fixed number of shares of common stock by a shareholder as security for payment of a promissory note. A contract to transfer ownership of stocks from the seller to the purchaser. The key provisions of a stock purchase agreement have to do with the transaction itself, such as the date of the transaction, the number of stock certificates, and the price per share. In addition, the agreement should specify the name of the corporation whose stock is being sold in the transaction. An agreement in which the seller desires to sell and the Company desires to purchase stock at a determined price set forth within the agreement. An agreement in which the Shareholder agrees to subject the shares of common stock of the Company held by the Shareholder to vesting and to certain other restrictions on the transfer of the Security Holdings. An agreement outlining the issuance and outstanding common stock to be owned immediately before the Closing of a transaction between two entities. An agreement where an owner of stock in a private company sells stock to a third party. A legal document defining the relationship of two companies cooperating to enhance and expand their existing businesses and services through mutual cooperation. A legal document in which a type of loan ranks behind other debts should a company be dissolved. A legal document used to make the claim of one party junior to a claim in favor of another generally used to grant first lien status to a lienholder who would otherwise be secondary to another party, with the approval of the party that would otherwise have first lien. An agreement governing the supply of an item of merchandise by a manufacturer or distributor. An agreement whereby two parties enter into an interest rate swap agreement to begin at a future date. An agreement in which an individual represents, warrants and covenants that he will exercise his best reasonable efforts for and on behalf of a company in connection with all services to be performed pursuant to the agreement. A legal document that details mutual reimbursement for any future tax assessment against the Company resulting from operations in addition to reimbursement for any future tax benefits as set forth in the agreement. An agreement which allows the technology end-user conditional access under the terms of the agreement. The technology end-user, developer and Escrow Associates execute the escrow agreement which dictates the manner in which the technology will be used. An agreement granting permission to use, sell, distribute or assign a technology as set forth within the agreement. An agreement in which a license may be granted by a party (“licensor”) to another party (“licensee”) as an element of an agreement between those parties for use in television broadcast. A document detailing the severance of an agreement between two parties. An agreement granting permission to use a registered trademark of another as set forth within the agreement. An agreement, typically between an employer and employee, to utilize the services of the employee during a specific, limited time period, most commonly in conjunction with a merger or acquisition of a business. A legal document detailing the voluntary relinquishment or surrender of some known right or privilege. A written agreement stating that for a specific deposit amount an individual has first rights to make a purchase of stock within a certain period of time.